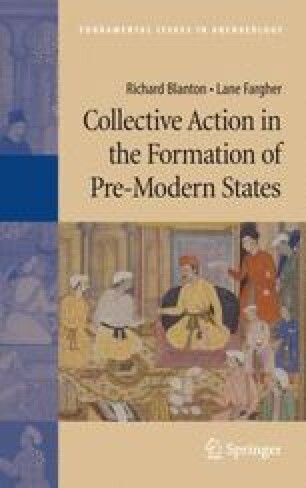 In the opening chapters of this book, we critiqued prevailing theories of sociocultural evolution and proposed that an approach based on the rational choice theory of collective action might lead to a productive rethinking of political evolution. To explore that possibility, we operationalized collective action theory in a manner that allows for theory testing using a method of cross-cultural analysis, then we assembled the necessary data. Now we are prepared to evaluate collective action ideas. Beyond that important goal, in this and the final chapters we also pursue some additional lines of inquiry and analysis that go beyond the theory as it is presently stated. We hope these new directions will enrich the theory and point to new directions for future research.